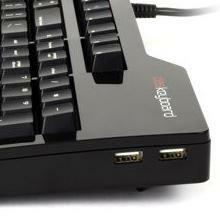 Das Keyboard Model S Professional Cherry MX Brown Mechanical Keyboard - Jestik, Inc. minutes! 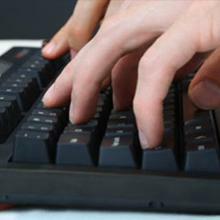 Experience faster typing than you ever dreamed. The Das Keyboard professional - soft pressure point mechanical keyboard sports high-performance, gold-plated, mechanical key switches that produce unique click tactile feedback while making the typing experience more comfortable, precise and fast. Now includes Media controls for quick access to the most common media functions. 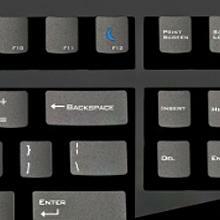 Experience faster typing than you ever dreamed. 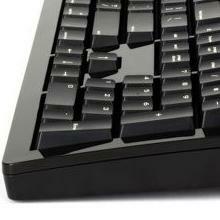 The Das Keyboard Model S Professional Soft Tactile Mechanical Keyboard sports high-performance, gold-plated, mechanical key switches that produce unique soft tactile feedback while making the typing experience more comfortable, precise and fast. Now includes media controls for quick access to the most common media functions. This high-performance, mechanical keyboard feels amazing on your fingertips and offers two distinct tactile experiences - click and soft. Your fingers will love it. 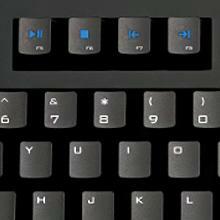 Das Keyboard uses best-in-class, Cherry MX mechanical key switches that provide tactile and audio feedback so accurate it allows you to execute every keystroke with lightning-fast precision. Its high-performance, gold-plated switches provide the best contact and typing experience because, unlike other metals, gold does not rust, increasing the lifespan of the switch. 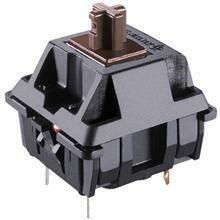 The Cherry MX Brown switches have a soft, tactile bump about halfway through the key press. The Soft Pressure Point switch technology makes the mechanical keyboard less clicky while providing an awesome tactile experience. 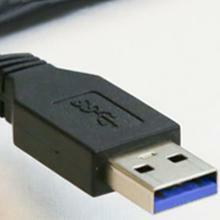 The high-speed USB hub allows you to sync and charge your iPhone, iPod or any USB compatible devices. Das Keyboard sports a 2-meter (6.6 feet) cable that goes through your desk grommet to keep your workspace neat and tidy. Model S allows full N-key rollover with an included PS2 adapter, and 6 keys with USB. 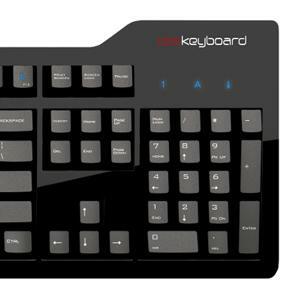 Great for fast typists and gamers alike. Glossy black upper enclosure with matching black USB cable – Darth Vader approved. Quickly access and adjust the brightness or volume up and down, you can also mute, eject, play/pause, next and previous track, and put your computer to sleep with easy to access media controls. 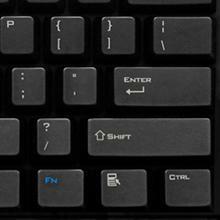 The Das Keyboard Model S Professional is equipped with laser etched key inscriptions to prevent fading and provide ease of reading. Help reduce the environmental impact of your computer and save energy by putting your computer to sleep simply by using this handy sleep function even for your shortest breaks.